Scott Shoyer’s Debut Zombie Novel ‘Outbreak: The Hunger’ is Available Now! 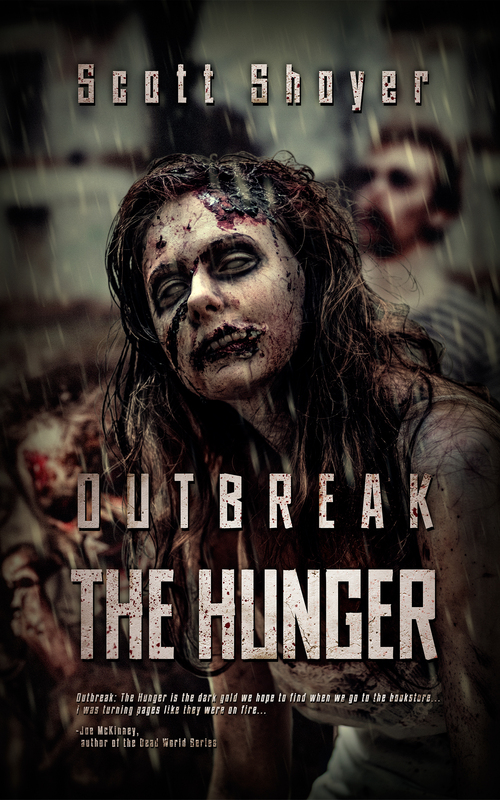 Scott Shoyer, who some may know as the mastermind behind the spirited and informative genre outlet AnythingHorror has just released his debut zombie novel, Outbreak: The Hunger. If you’re big on tales of the undead, this just might be something worth looking into. Scott’s a passionate guy when it comes to our beloved genre, so we were left with no choice but to alert the masses to a new chapter in the current zombie craze. The novel is available in both ebook and paperback additions courtesy of Severed Press, and you get your hands on a copy right here! Scott Shoyer, a local Austin, Texas author with a wicked mind for horror, has just had his debut zombie novel, OUTBREAK: THE HUNGER, published by Sev-ered Press. Shoyer’s novel was released on April 14, 2015 and is now available in paperback and eBook formats. 1 Comment on Scott Shoyer’s Debut Zombie Novel ‘Outbreak: The Hunger’ is Available Now! I love everything zombie and passion is important. So I will probably pick it up. Right now I am waiting for Brian Keene’s latest The Rising: Deliverance which I will probably review. Then I am going to do Slowly We Rot by Bryan Smith.